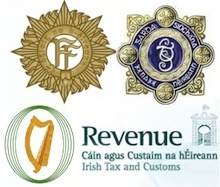 British intelligence agents operate across the 32 counties of Ireland and have received information from politicians, members of An Garda police, Revenue tax officials and the 26-County Army, the Smithwick Tribunal has heard. 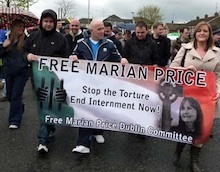 Hundreds of people gathered in Derry’s Bogside on Sunday in what was one of the largest demonstrations held yet in support of the interned political prisoner Marian Price to demand her immediate release. Lawyers for Sinn Féin have written to the Attorney General seeking advance copies of government “information” being sent to homes about the EU Austerity Treaty. A plan to hoist a large granite monument in the centre of Portadown commemorating the centenary of the signing of the Ulster Covenant, a unionist pact to oppose Irish independence in 1912, has been strongly criticised. An elderly couple say they have had enough of sectarian abuse after suffering almost 50 years of attacks on their south Belfast home. 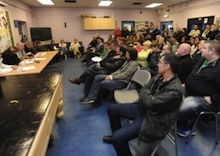 A public meeting in Derry last week heard of several serious allegations of the misuse of stop and search powers against people with ‘dissident’ views, their children and wider family circles. After the release of colonial records - what about Ireland? The British suppression of historical papers on the north of Ireland should also now be ended. Barely 15 years since the 1998 Irish peace pact was signed, the British are ignoring the law, obstructing justice and inhibiting peace. 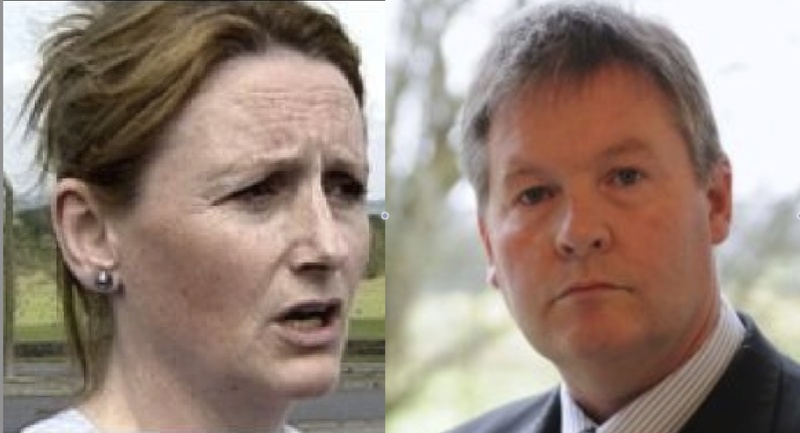 The coalition government’s plans for the introduction of new water taxes has generated a new wave of resentment at the financial pressures being imposed on people in the 26 Counties. There is increasing concern at the Dublin government’s use of heavy-handed tactics in support of its austerity agenda. 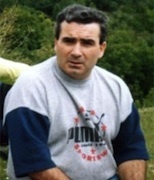 A recording of a telephone conversation with a former British army General Officer Commanding in the north appears to confirm allegations that Belfast man Freddie Scappaticci was the infamous British double-agent known as ‘Steak-Knife’ or ‘Stakeknife’. A member of the PSNI police left a loaded gun, ammunition and deadly CS gas lying on a nine-year-old girl’s bed following a raid on her family’s north Belfast home. Republican prisoners at Maghaberry jail were placed under 24-hour lock-up on Easter Sunday for refusing to remove their Easter lilies, it has emerged. Forty years to the day after he was gunned down by British paratroopers, Official IRA Volunteer Joe McCann was commemorated in Belfast. Aisling Gallagher looks at the hunger strike of Palestinian internee, Hana Shalabi, and recalls the 1981 Irish hunger strike. While no schedule or timetable exists for Ireland to be reunited, the means by which it can be done has been agreed and a road map has been legislated for. Chaos erupted at the annual conference of the Labour Party in Galway today as Gardai were unable to hold back protestors against the 26-County government’s austerity program. A member of the breakaway ‘Real IRA’ has told a public Easter commemoration in Derry that the group will continue its armed struggle against British rule in the north of Ireland. The PSNI police took almost two hours to respond to a bomb alert in Newry on Saturday, raising fresh questions over the force’s attitude towards the civilian population in the North of Ireland. 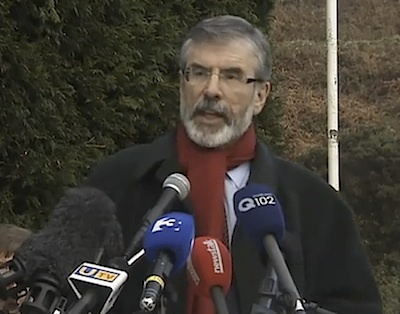 Speaking at an Easter Rising commemoration in Bandon, west Cork, Sinn Fein President Gerry Adams has said the 26-County State has failed the leaders of the 1916 Easter Rising. The centenary of the Third Home Rule Bill for Ireland was marked by an event in Waterford city hall on Wednesday evening. A new tourist attraction based on the Titanic in Belfast, where the ship was built, has been hit by a controversy following accusations that it is perpetuating the class divide with which the ship is synonymous. 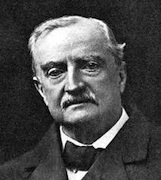 The full text of the major speeches and statements released to commemorate the 1916 Rising by the main republican political parties and groups. For what died the sons of Róisín? This time of year brings to mind our generations long struggle for independence. 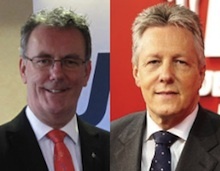 The former news anchorman of ‘Ulster Television’, Mike Nesbitt, who was elected new leader of the Ulster Unionist Party last weekend, has said “there has never been a better time” for unionism and said he wants to address Sinn Fein’s Ard Fheis. A decision to order the blinds at the National Convention Centre to be pulled down as over ten thousand angry citizens descended on Fine Gael’s annual conference last weekend has become a metaphor for the coalition government’s attitude to the Irish people. There were serious disturbances in Craigavon, County Armagh last weekend following the convictions of two local men over a Continuity IRA attack in 2009. A US appeal court has adjourned to consider whether an academic project by Boston College involving confidential interviews with former IRA Volunteers must be handed over to the PSNI police. 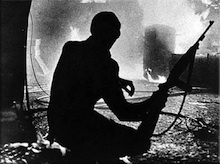 The police Historical Enquiries Team (HET) in the North has given favourable treatment to British soldiers linked to killings during the conflict, a University of Ulster report has confirmed. The unionist paramilitary UDA has intimidated a Protestant family out of their County Derry home after their son was spotted wearing an Ireland t-shirt. Padraig Pearse’s oration at Glasnevin cemetery in Dublin at the funeral of Irish Fenian leader Jeremiah O’Donovan Rossa was a significant event in the lead up to the Easter Rising of 1916. No government can impose a tax in the long term with which 40-50 per cent don’t subscribe. 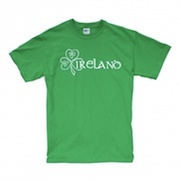 A list of Easter Rising Commemorative events in Ireland for 2012. Please contact your local organisation for details.